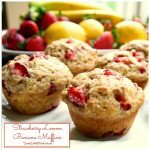 Spring is here and summer is right around the corner…that means it’s almost time for strawberry picking season! 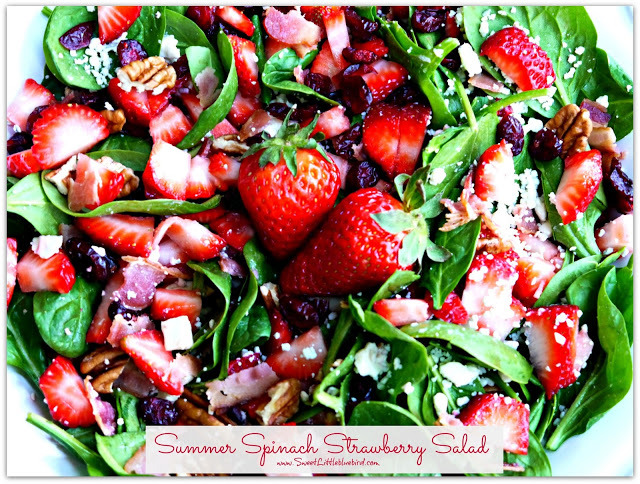 So for today’s tried and true, I am sharing a great summer salad loaded with strawberries! 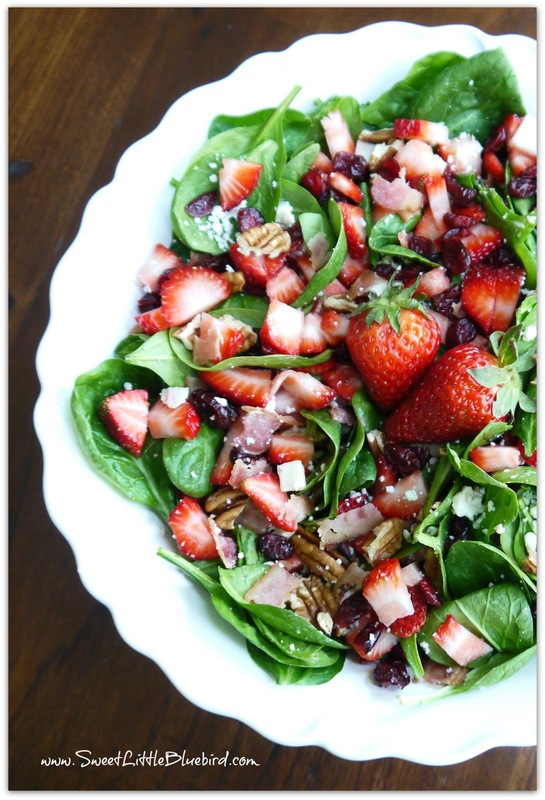 With two cups of fresh strawberries, Gorgonzola cheese, bacon, toasted pecans, dried cranberries and topped with my favorite sweet balsamic vinaigrette dressing, you’re sure to be head over heels for this summer treat! Clean spinach, place in large bowl and top with ingredients. Add desired amount of dressing, toss and enjoy. 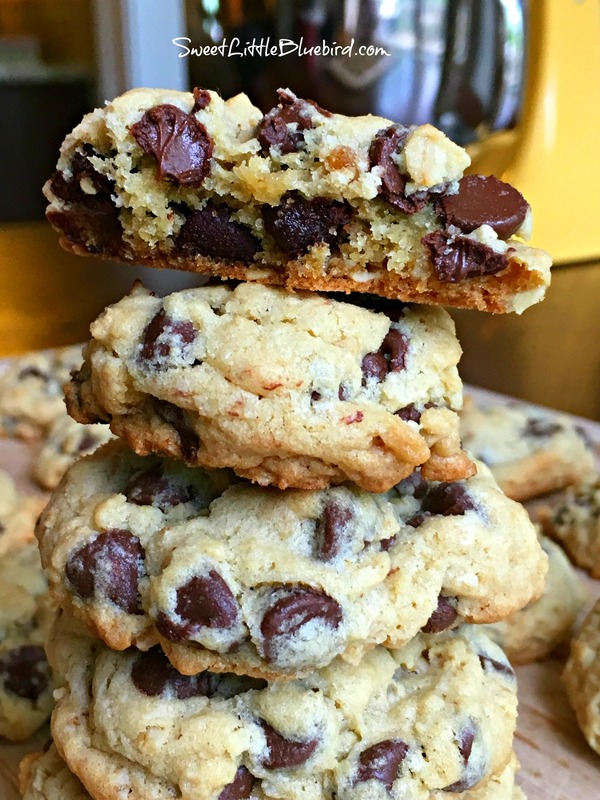 You can add more or less of each ingredient – do what you prefer. 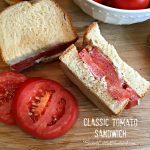 Top with grilled chicken breast – a favorite in our house! To toast pecans – place in skillet on medium high heat, stirring until lightly toasted. Whisk all the ingredients together, until sugar and oil are blended. It takes a few minutes for the oil and sugar to blend. Keep whisking….it will blend! 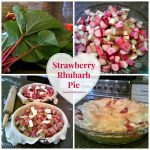 Sharing this recipe at Weekend Potluck! I made this for an Easter party I went to this past weekend and it was a hit! I didnt include the bacon and it still tasted great and it was easy to make. Made this for a party I went to for Easter and it was a hit! 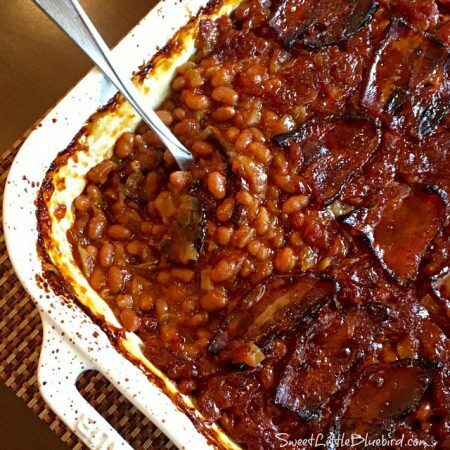 I didn't include the bacon and it still tasted great 🙂 Super easy to make too! Yummy. Greeting from weekend potluck. 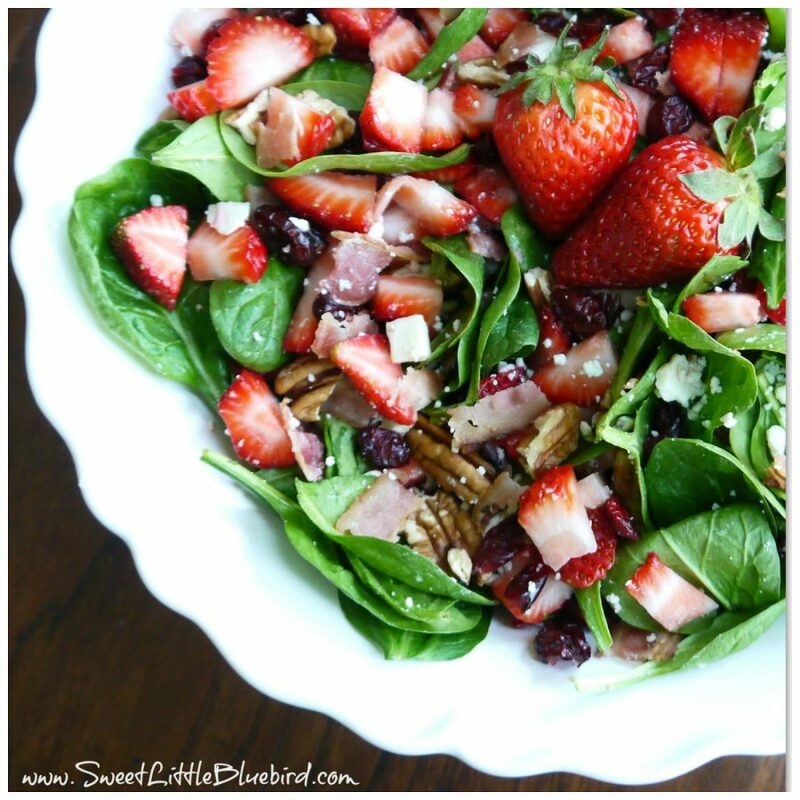 I love salads with strawberries and balsamic vinegar in them. Oh Mary this looks amazing! Yum!!!! Thank you, Mel! It's a bummer we opposite seasons 🙁 I would love to pick veggies in our garden! 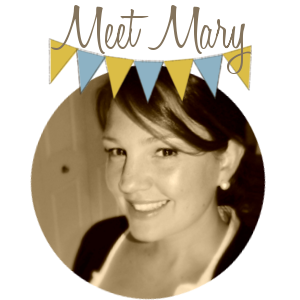 Oh Mary! This looks so pretty as do all of your recipes. 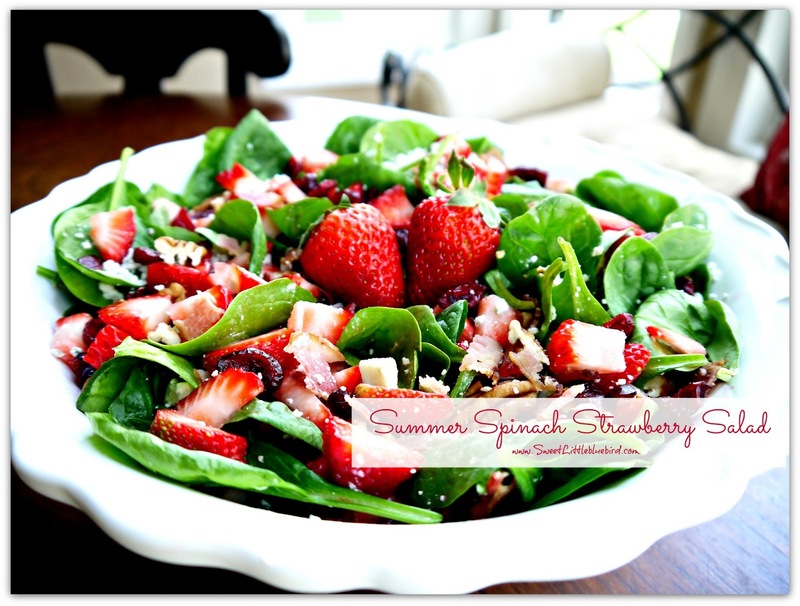 I am always watching out for some great summer salads because it gets too darn hot to cook here! 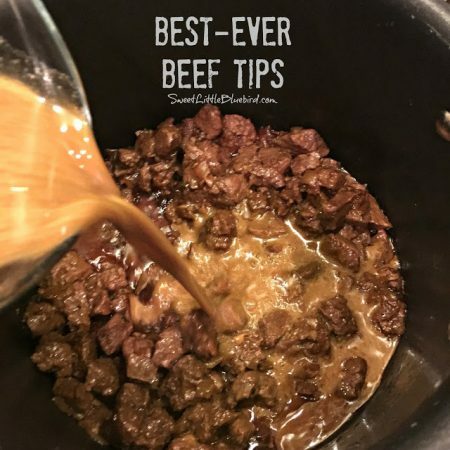 This is a winner in my book and the salad dressing….yummmm! I'll be using that one on more than just this salad! Thank you! Thank you! The dressing is killer, Danni. 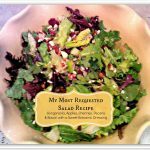 If anything, print out the dressing recipe…it is good on so many salads, and a great dipping sauce too! This looks so yummy! Every flavor I love is in there. I am pinning!! Thank you, Heather 🙂 I can't wait for strawberry season!